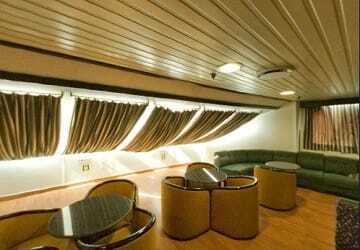 Built in Greece in 1997 the Artemis can accommodate up to approximately 1250 passengers on its decks and in its passenger lounges. Artemis also has space for 74 vehicles in its garages. 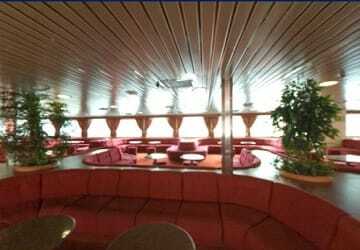 Passengers are accommodated in three separate areas, all on the same deck, which also features a snack bar. 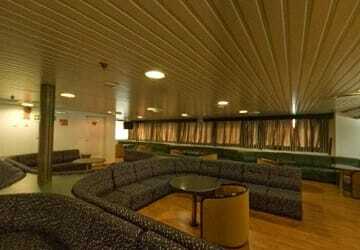 Cabins are not available to book on the Artemis, however there are two extremely comfortable lounges to pre-book before travelling, or deck seating. 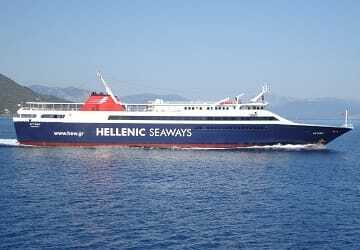 Please Note: Whilst we have taken great care in making our Artemis guide as accurate as possible, onboard facilities, services and entertainment may vary depending on the date and time of year that you travel, facilities mentioned may change without notification and ferry companies reserve the right to operate vessels other than those mentioned at time of booking without prior notification.